Technical Manuals, Safety Handbooks, Employee Guides, Legal & Business Contracts. Since our initial engagement in 2008, SAECULII has become the Vestas "agency of record." 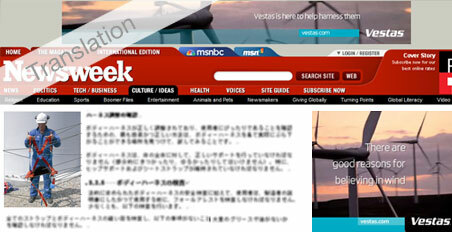 -Luke Eginton, Managing Director of Vestas Wind Technology Japan Co., Ltd.